Today is a national holiday in Italy. It’s the Festa della Liberazione or Liberation Day. The Italians are celebrating the 70th anniversary of the end of the Nazi occupation of the country. 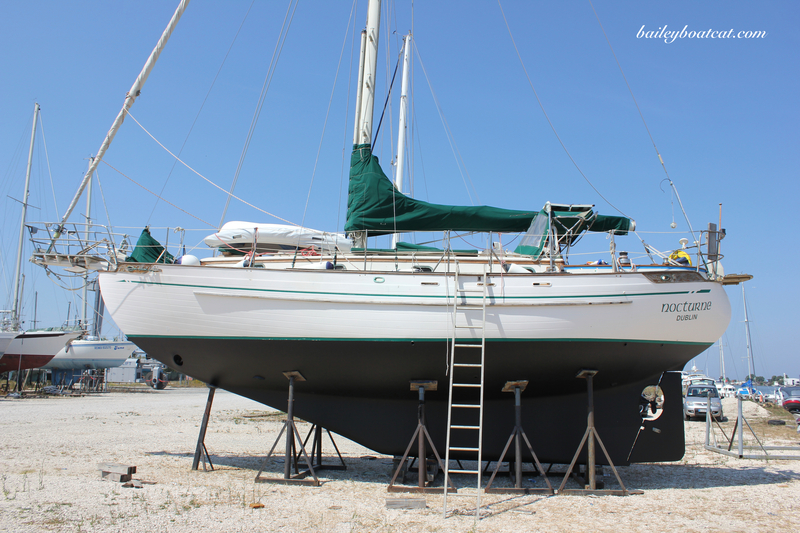 It’s a beautiful day here and the Italians are doing what they do best, promenading along the marina! It’s also Caturday so there are many reasons to celebrate today! « Wishing you all a purrfect weekend! I take it they don’t want reoccupation. Is Bailey locked out or just contemplating joining someone up there? 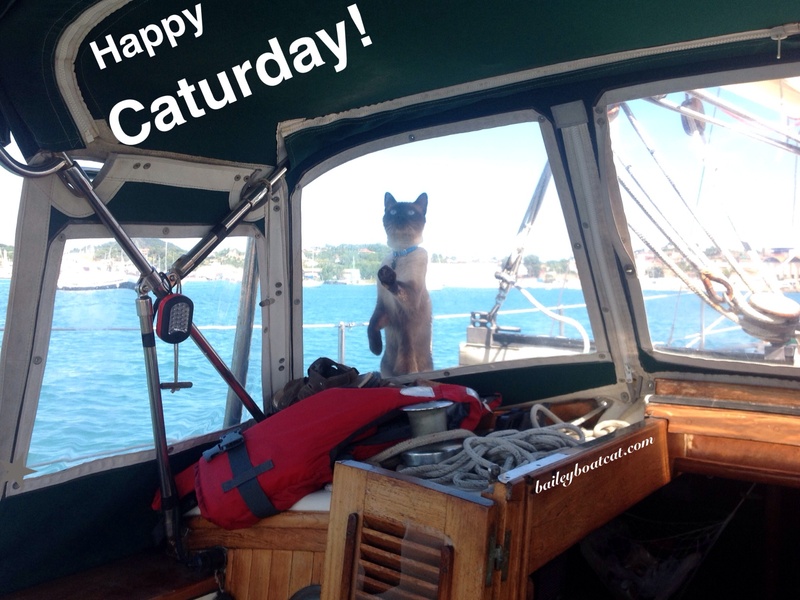 It sounds like an exceptionally awesome Caturday at the marina, Bailey!